Most unmanned aircraft are controlled by humans on the ground, but the X-47B is a fully autonomous drone, able to fly without any human instruction. On the deck of the aircraft carrier the plane is maneuvered by a remote control strapped to somebody’s arm. The drone has a range of 3,200km and sometime in 2014 the Navy will test its aerial re-fuelling capabilities to see if that can be extended further. When normal aircraft takes off from a carrier, the pilot generally salutes the deckhands to indicate that they’re ready for launch. In a nod to this tradition, the X-47B blinks its lights to signal that it is ready. 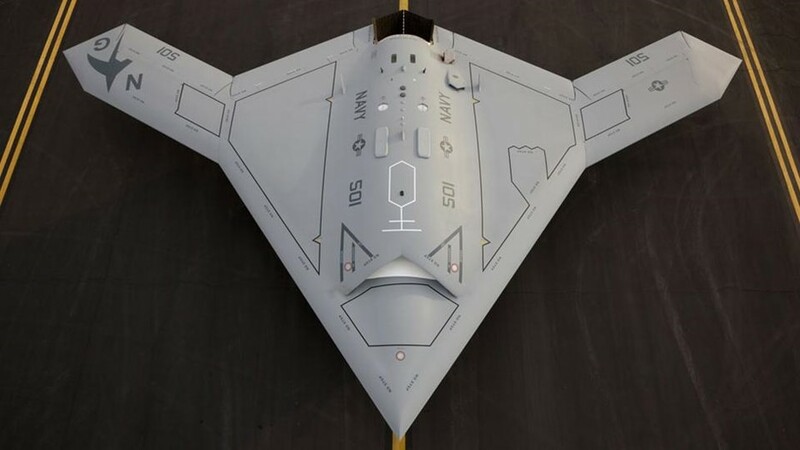 Read more about the drone, its weapons capabilities, why it might not ever be produced on a mass scale, and more over here. ← Would You Invest In Bilbo Or The Hobbit? Whatever Happened To Lady Gaga?